Since people have been asking about floor beds, I thought I’d give a little information on the basics of a floor bed. Before the birth of your baby, prepare a basket and a floor bed. A portable basket is excellent for newborns – cozy and safe for the baby, convenient for Mom. There is a specific basket called a Cestina that is recommended by the Montessori community, that I will go into detail in a later posting. In the beginning, the baby basket will go wherever Mom goes. As the baby starts to develop a more regular sleeping pattern, you can start putting the basket ON the floor bed, so the baby starts to associate this area of the room with sleeping. Once your baby outgrows her basket, she can start sleeping on the floor bed, usually when she is 2-3 months old. The floor bed is a mattress on the floor, ideally a futon made of natural materials. There should be firm cotton batting inside. 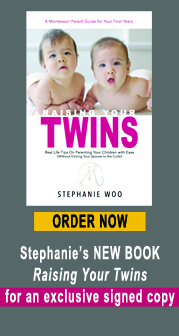 If it is not firm enough, it will be an obstacle for the baby’s movement. It should be 4-6 inches deep. If you are concerned with diaper leakage, use a rubberized flannel covering that is big enough to cover the entire surface of the mattress. Then cover with cotton sheets. Some families use a wooden frame around the mattress for the floor bed. (See picture below. The dimensions are there just to give you an idea of the size). Some say it makes them feel as if their child is sleeping in a ‘proper bed.’ Though it is not necessary, it is a great option for families who want it. If the wooden frame is used, it needs an open side, preferably the long side, so the child can get in and out of bed. The wooden frame can be bought at Michael Olaf. Our girls’ floor bed evolved over time. 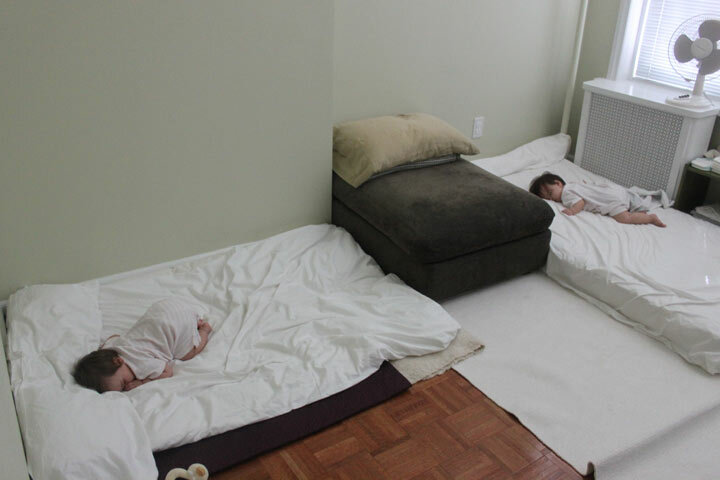 As I mentioned earlier, we didn’t have enough room for a floor bed in our tiny 400 sq ft apartment when they were born. 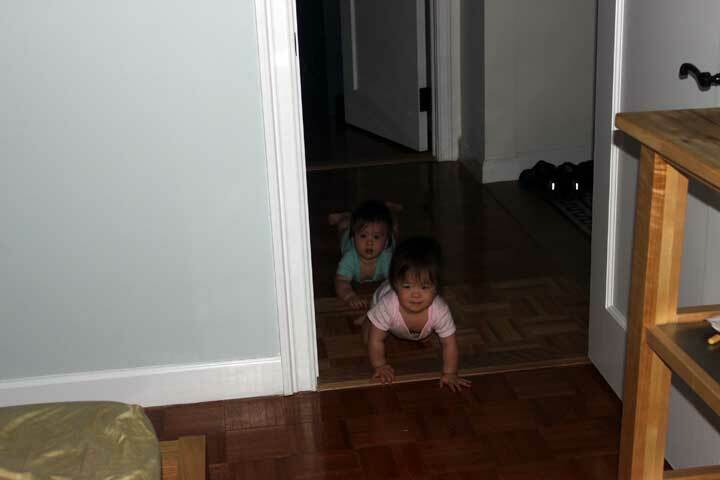 But when the girls turned 4 months, we moved into a 1200 sq ft apartment, where we decided to put both girls on a single mattress. It worked well because they were still little. 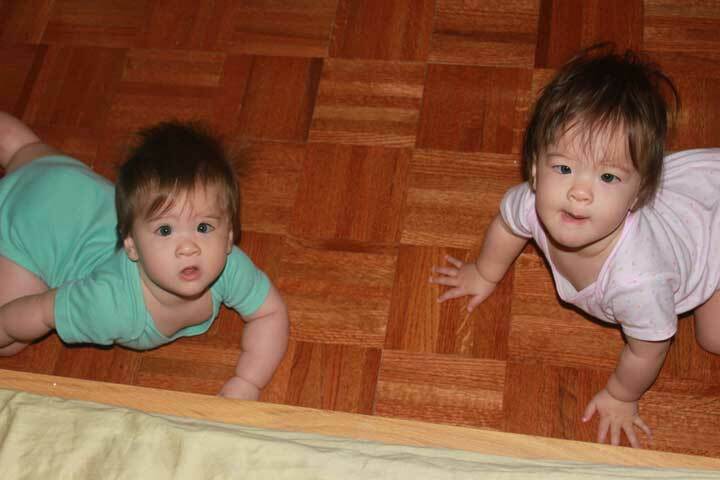 When they turned 5 ½ month, we moved to Denver for the summer. There, we didn’t spend money to buy another mattress, instead, we laid down layers of wool and cotton blankets, a thick duvet, placed a cotton sheet over the whole thing and created our own version of a floor bed. Because the floors were newly carpeted, it worked out great. Since we’ve been back from Denver, they now sleep in two separate floor beds. See video here. 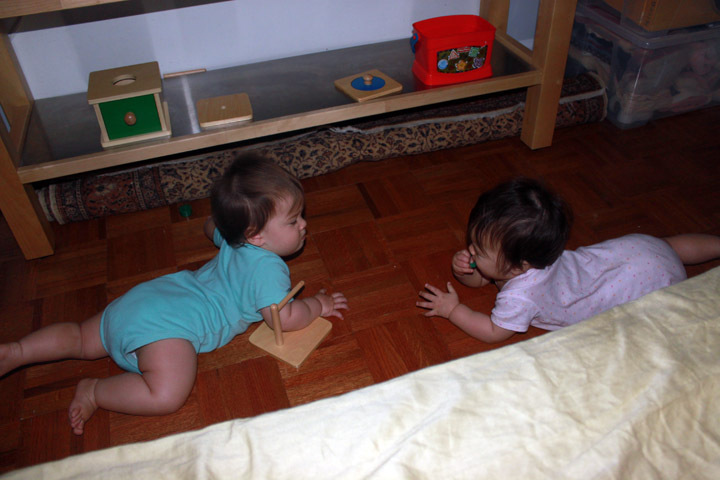 The point of a floor bed is something low to the ground that makes it easy for the child to climb into and out of. Mackenzie loves her bed and when she sees me making her bed, she will crawl over and climb under the sheets or into the middle of the duvet. And sometimes in the middle of the day, she’ll just crawl into her bed and plop herself down right in the middle and wiggle around, sorta like the way you jump into a newly-made bed! 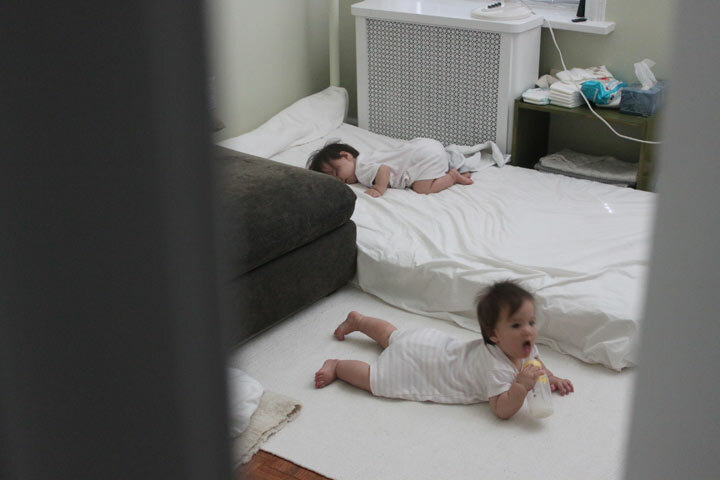 The most unexpected benefit of a floor bed is the HUMOR it will add to your life and the stories you’ll be able to tell about your little one. 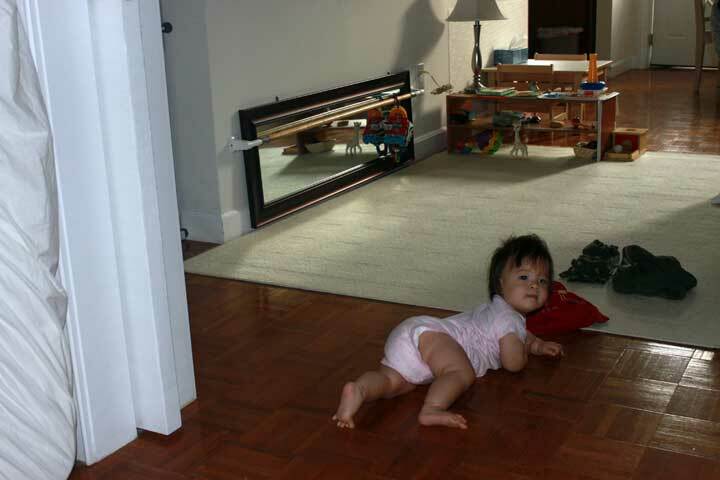 Once your little one starts to move, you just don’t know where you will find them. When Brooke was 5 months old, I left her in the room to nap by herself and when I came back, she had fallen asleep with her head and arms on the mattress and her body on the floor. She was trying to get back in bed but fell asleep before she could make it all the way back up! 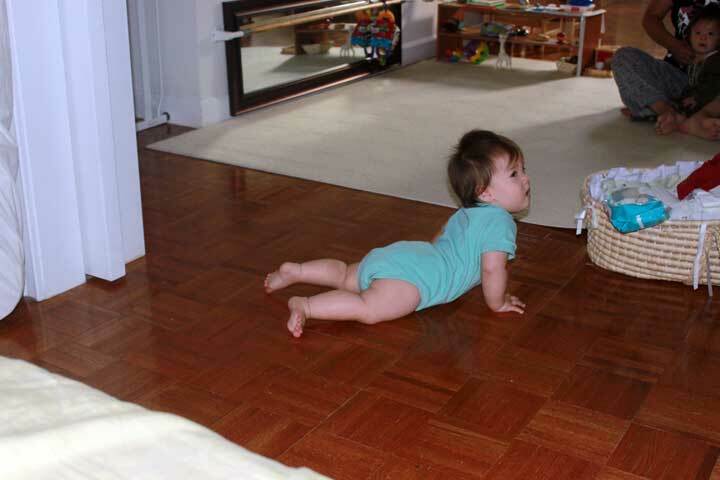 Mackenzie was 6 months old when she really started crawling everywhere. Once I heard her crying and when I went into the room, she wasn’t in bed! I followed her cry and found her in the walk-in closet…Another night, I went into her room and again, she wasn’t in bed! I looked and couldn’t find her anywhere! I almost had a heart-attack until I saw a tiny little foot sticking out from under the bed skirt. She had crawled under my bed and fell asleep there! I know a mom who actually called 911 when this happened to her. She couldn’t find her baby anywhere and she was sure someone had abducted her LO. When the police came, they carefully surveyed the house and when they lifted the bed skirt, they found the baby – fast sleep! If you are using a very large mattress, use tube pillows or bolsters to make the space feel cozier. 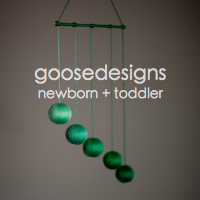 A young baby especially needs to feel as if he is contained in a space. A knitted, breathable blanket (the kind with lots of holes) is the best choice as a covering. 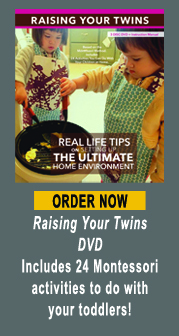 Put twins on two separate mattresses. At first we wanted to save money and only bought one. That lasted only 1 month before they started distracting each other from sleeping and we had to separate them!